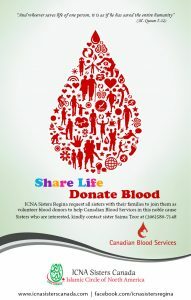 Blood donation is among the most valued service one can render to humanity. 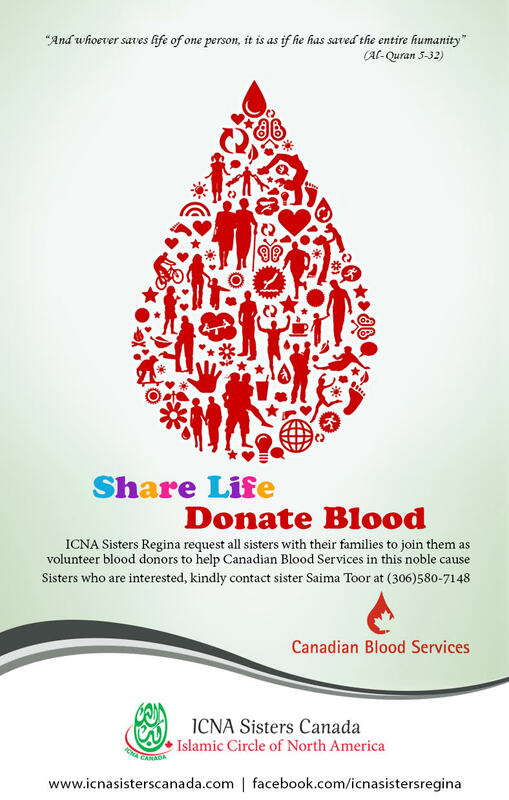 With this thought, the ICNA Sisters invite the Muslim community of Regina to join us in this noble cause which can save lives of many. Hence, we request for your participation and also request you to invite your friends, relatives and other people you know to join the cause.